When you have a video game collection like mine, it can be hard to play all of the games. This is especially true when additions are made on an almost weekly basis. Still, I appreciate nearly every game I’ve accumulated for this reason or that. In the hopes of improving my writing through continuous effort and promoting ongoing learning of these games, I’m going to compose brief, descriptive articles. I can still recall the garage sale I got my first NES, this game, and about a dozen-and-a-half others including Contra, Metroid, and The Legend of Zelda. I was already interested in vintage video games having read Tips & Tricks for a while at this point, marveling at the Collector’s Corner section mostly. To find all these goodies, and for practically nothing, I was ecstatic. I actually haven’t played this game too much, which is a shock considering I’m such a fan of the more modern releases. It’s a very difficult game and I can only recall getting to the third or fourth section of the castle. The gameplay was solid however and the soundtrack is an undeniable classic. Something I need to play more of for sure. 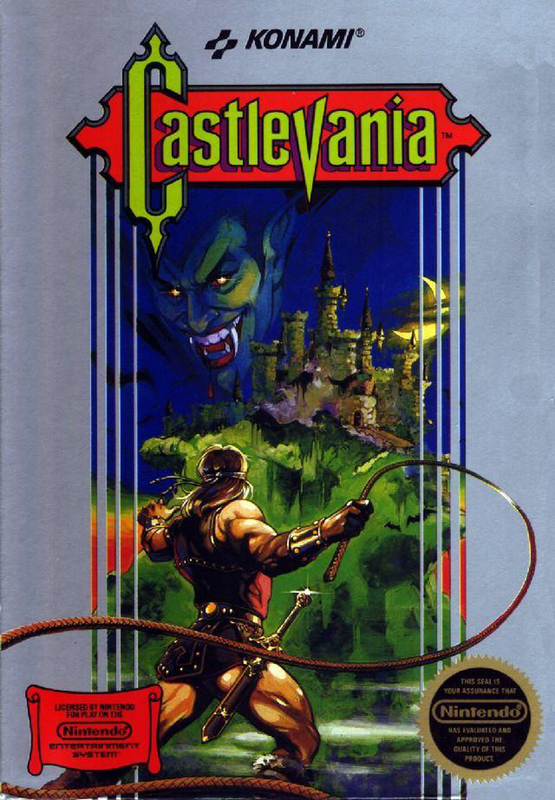 Castlevania was developed and published by Konami. 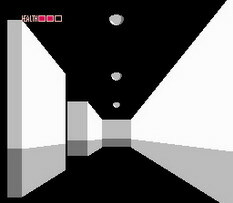 It was first released on the Famicom Disk System in Japan on September 26, 1986. Its first release in North America was on the NES on May 1, 1987. It was later ported to the Game Boy Advance as part of the Classic NES series. It has also been ported to all of Nintendo’s Virtual Console services (Wii, Wii U, and 3DS – what a mess, needs consolidation!). Wow, both of these games are fantastic. Super Spike V’Ball is the second best volleyball video game ever, only behind Beach Spikers. Or, I should say my favorite but I’ve only played three and Volleyball for the NES is definitely at the bottom of the list. Meanwhile, Nintendo World Cup is a wonderful representation of the world’s favorite sport on a technically limited platform. It actually belongs to the Kunio-kun series of games which are best remembered in the west for River City Ransom. Each game is a joy in multiplayer and will always be go-to’s for my multiplayer NES affairs. What’s more, they both support up to four players, something I’ve yet to try. Both games were developed by Technōs Japan. Super Spike V’Ball was originally released as an arcade game in December 1988, while the NES port was released in February 1990. 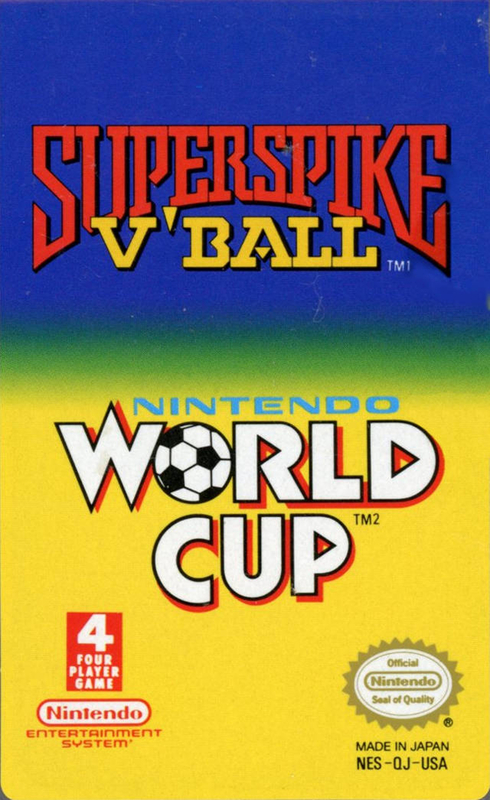 Nintendo World Cup was released in North America in December 1990. Both games were originally published in the States by Nintendo, as was this compilation. The information I’m finding states that is was also released in December 1990. 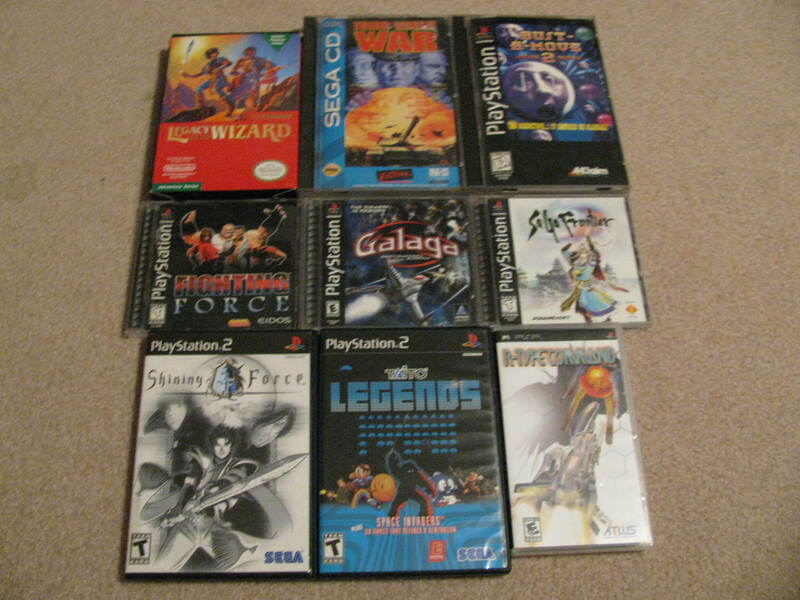 There are some games in my collection that I don’t recall obtaining. Magic Johnson’s Fast Break is one such game. I can speculate how it came into my possession, but ultimately the game is pretty inconsequential to me. As best as I can recollect, I’ve played it once. My friend and I competed against each other as part of the Leonard 2012 Video Game Olympics. He’s much more adept than I when it comes to sports games and accordingly was victorious. It’s incredibly dated at this point, but I can’t imagine it had much going for it back in the day even. My belief is that basketball games weren’t noteworthy until NBA Jam, but many people have a fondness for Double Dribble so that would seem like the genre’s best on the NES. 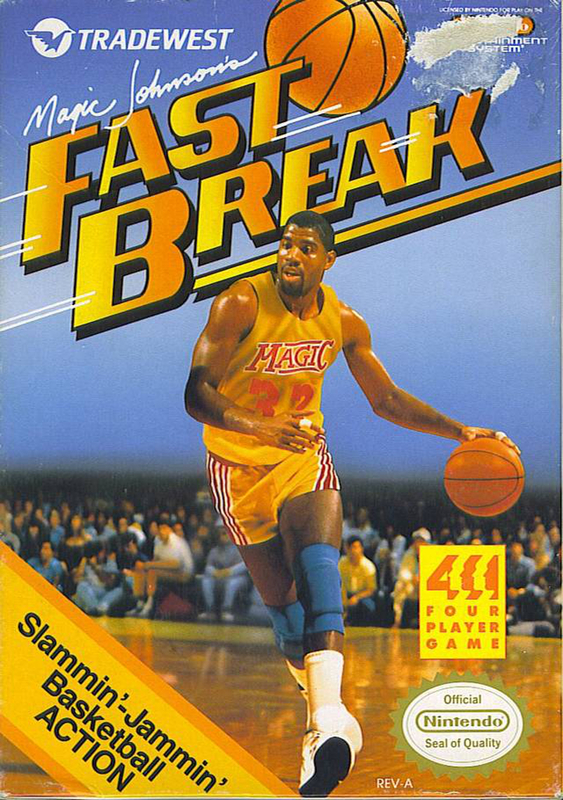 Magic Johnson’s Fast Break was originally developed and published by Arcadia Systems and released as an arcade game in 1988. It was ported to the NES by Software Creations and published by Tradewest in North America in March 1990. It was also ported to a handful of European PCs at the time as Magic Johnson’s Basketball. Most notably, the NES version featured support for up to four players. What can I say about Super Mario Bros.? I mean, it’s Super Mario Bros. Everyone knows about the 1985 classic. 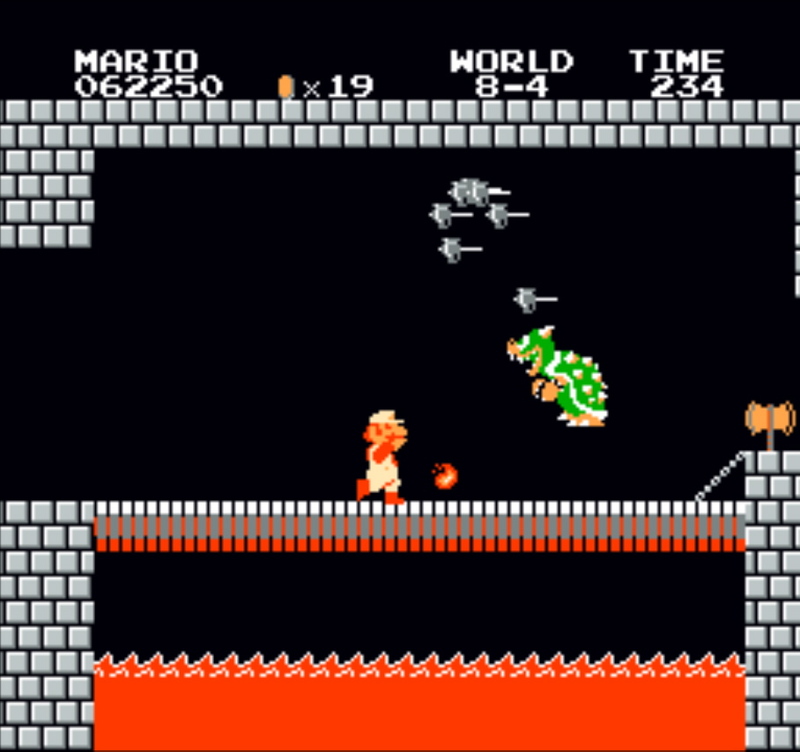 Everyone can recall Mario’s initial journey through the Mushroom Kingdom on his quest to rescue Princess Toadstool from the diabolical Bowser. 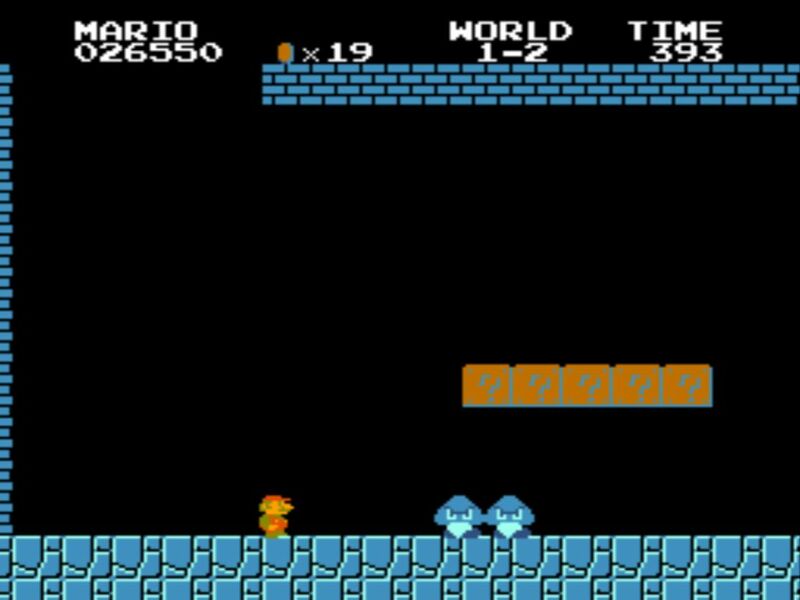 Everyone has stomped on the heads of numerous Goombas, kicked several Koopa shells, and found the game shortening Warp Zones. Everyone has beaten it, ecstatic to see the princess instead of yet another Toad. Well, that is everyone but me. The music just started playing in your head, I know it did. 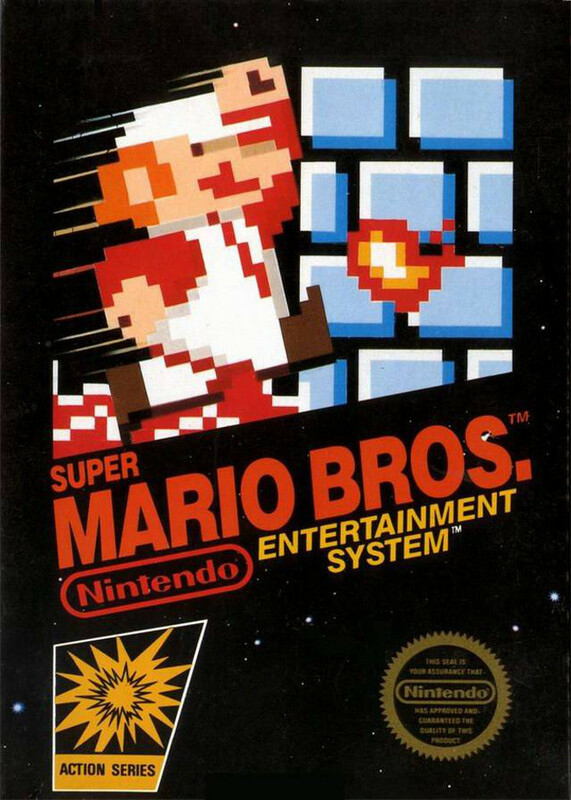 After briefly playing Vs. Super Mario Bros. at PJ Gamers, one of my local arcades, I realized I had never beaten the Mario game that started it all. Never mind Donkey Kong, Donkey Kong Jr., or Mario Bros. Super Mario Bros. really kicked off the career of Nintendo’s mascot. Thus, I’ve spent the last week or so playing the game in hours-long sessions attempting to beat it. Finally, after discovering secrets and honing my platforming skills, I’ve gotten good enough to reach the end. Among other elements, I feel two of the most important are the game’s precise controls and simplicity. They tied together in an interesting way after spending hours learning stage layouts and adapting to the controls. I’d often get reckless and misjudge a jump or run into enemies enough times to deplete my stock of lives OVER AND OVER AGAIN. It could get frustrating, but it was psychological – I was getting too comfortable with my abilities. In many ways, overcoming my careless tendency to hold down the run button was the key to my success. My experience with the game was enhanced by playing it with a friend, switching off when we’d lost all of our lives. Like most things, playing this game was improved with a partner. The kicker was discovering the hidden 1ups that were necessary to extending our sessions and devising strategies for dealing with tough sections. Accessing the Warp Zones was the most fruitful of our discoveries. I wouldn’t have been able to complete the game without accessing the secrets we did and I wanted to be able to say I completed Super Mario Bros. so there, I said it. The SNES saw the bulk of my attention because I decided to stop holding off on purchases unless a game was complete with box and manual. I’ve missed out on many great, cheap games over the years. Another week with no new posts, but that doesn’t mean I’ve done nothing! This weekend, like last, I actually did a noteworthy amount of game shopping. The largest of the two chains of local game stores had a buy two, get one free Labor Day sale and my friend and I took advantage of the opportunity and visited 4 of the 5 nearby stores. I haven’t purchased games at this frequency in a very long time. Partially I’ve been spurred to do so after reading jsicktheslick’s Sunday Roundup posts for so long. Another factor is the ongoing competition between my friend and I to play every game we collectively own and see who wins the most titles. Our competition has begun to move briskly now. We completed the NES last week and today we plowed through the twenty Intellivision games and the eleven Apple II games I own. Both of these platforms on the whole were disappointing, but we also began playing the Genesis and man, there a lot of awesome games of that system. I’ll get around to posting results eventually and also, I think instead of talking about a select few titles individually and in a fairly long article, I’ll be switching formats. Rather, each and every game will be discussed in a three paragraph article, succinct and to the point. The first para will be an overview while the second and third paras will be my thoughts and my friend’s thoughts respectively. That way, I’ll be able to highlight each game, produce a veritable amount of content, and bring the other competitor’s views into the fold. I’m looking forward to doing this eventually, as school and work are all consuming! Anyways, this weekend I managed to pick up many top-notch, or personally interesting titles and I took pictures of them, as well as the few titles I picked up last weekend. I managed to pick up many SNES games for cheap, mainly shoot ’em ups because I like that genre, but I also picked up Super Tennis, Stunt Race FX, Final Fight and Rival Schools: two hopefully great beat ’em ups, ActRaiser: an RPG from Enix, and the Super Game Boy. 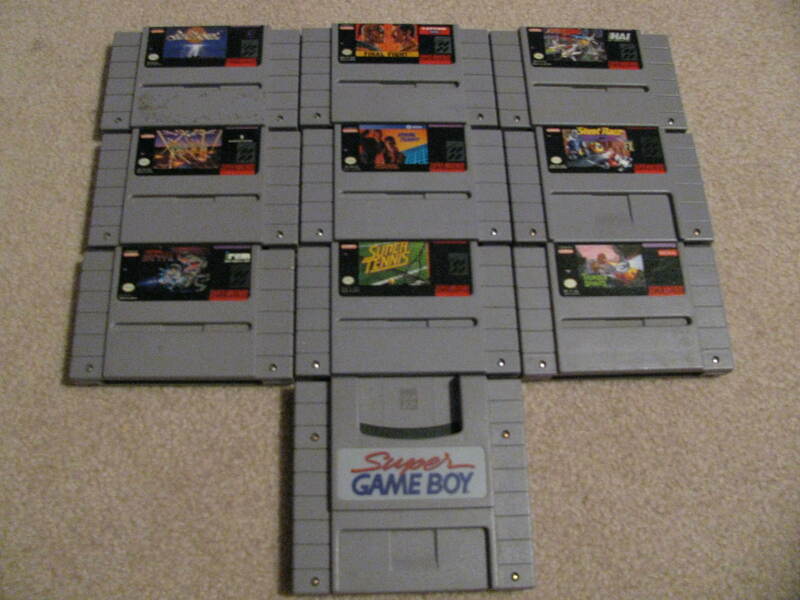 The more modern games are more visible in the following photo so I won’t highlight those. I also picked up a handful of random games for a multitude of platforms too! 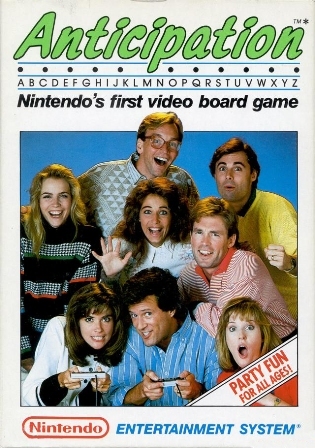 Billed as Nintendo’s first video board game, the Rare developed NES game Anticipation has become one of my go-to multiplayer games since I stumbled upon it at a local game store. I was immediately drawn and disgusted by the game’s dated box art and expected little but was surprised to discover an entertaining multiplayer competition. As the game draws an image, the dice counts down the amount of time. Whoever guesses correctly here will move four spaces. Like most board games, in Anticipation players are represented by little figurines. The goal is to correctly guess what the game is drawing and do so on each of the game’s three levels; the winner is the one who completes all three levels first. This can become tricky because the game requires a correct answer from four different themes before moving on to the next level. When it comes down to needing a correct answer from that last theme, it’s not uncommon to go on a lengthy dry spell where landing on the needed space is annoyingly elusive. When advancement became elusive, I found that I could initiate a level of strategy that emphasized a risk and reward principle. Buzzing in when the dice roll would work out favorably allowed others to buzz in before me, but if they were stumped, I had the opportunity to roll the dice so I’d land on the theme I needed. When all players realize this strategy, the bluffing and screwing of your competition becomes part of the fun. 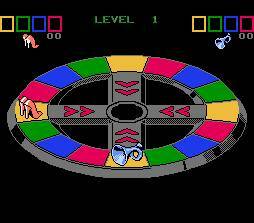 A correct answer from each color is needed before advancing to the next level. Of the many games of Anticipation that I’ve played, I’ve noticed that the backend tends to drag on as the drawings get tougher and inevitably, someone requires that last theme to advance or win. Sometimes, I’d rather just turn the game off then sit through a potentially laborious dry spell where no one makes any progress, but for the most part, Anticipation is good fun. Why are you wearing lipstick uncle Fester? For Halloween, my friend and I compiled a list of related games and played them, usually for a short period of time. 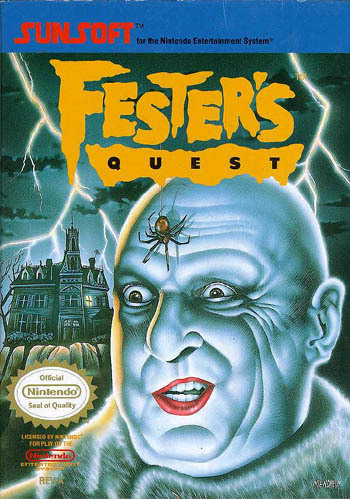 One that we devoted more time to was Fester’s Quest for the Nintendo Entertainment System. It was developed and published by Sunsoft and released in the USA in 1989. The game stars uncle Fester from the TV show The Addams Family as he attempts to prevent an alien invasion. Hot dogs must be uncle Fester's favorite food. My friend and I took turns playing, handing off to the other when we died. We saw Fester via a top-down perspective as we explored the city around him. We were quickly greeted by enemy aliens whom Fester had to shoot to defeat. Often times they would drop pickups. These pickups varied; we most commonly came across money, but there were also weapon upgrades and downgrades, as well as usable items. 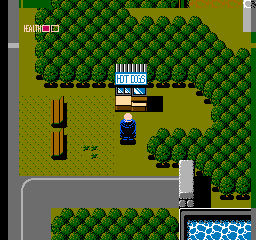 Money would allow Fester to buy hot dogs and restore his health, but he had a very limited amount of health; two hits and it was game over. Another item we came across frequently was keys. Keys allowed Fester to get into houses where family members were taking shelter. They would provide Fester with important items. One my friend and I liked was the TNT which was very helpful in defeating stronger enemies. It didn’t take long for my friend and me to explore to small area available to us. To progress, Fester had to go underground and get to an otherwise inaccessible area of the city. We only made it out once though. The underground consisted of corridors which made it very difficult for us depending on how upgraded Fester’s gun was. As we accumulated upgrades, Fester’s gun got stronger, faster, and sometimes had a wider bullet spread. This combination of wide bullet spread and narrow corridors was bothersome. Luckily, our enemies would sometimes drop weapon downgrades which allowed us to “fine tune” Fester’s gun to our needs. We spent a lot of time accumulating enemy drops so we maxed out a few items, but we never maxed out Fester’s gun. So my friend and I didn’t get very far in Fester’s Quest. We both thought the game was tough, but that our deaths were mostly our fault. I wish we could’ve maxed out Fester’s gun and maybe that would have helped us underground, but I guess Sunsoft didn’t want people to max out everything very quickly. Fester’s Quest is supposed to have first-person dungeon-crawling so that makes me want to give it another go. Unfortunately, Fester’s Quest doesn’t have a save feature and each time we died, Fester began with the same amount of items and upgrades, but he always started at the very beginning, so completion is unlikely.